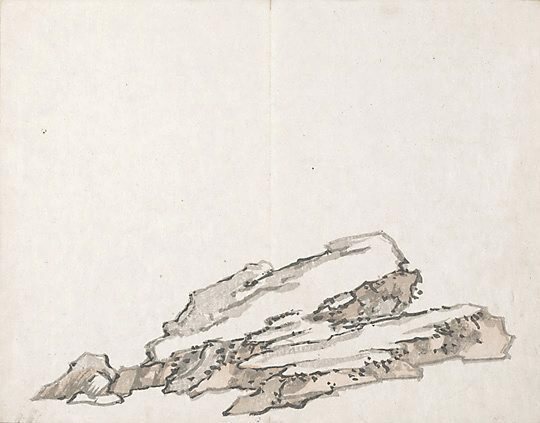 Taiga came from a commoner's family and lost his father when he was four. 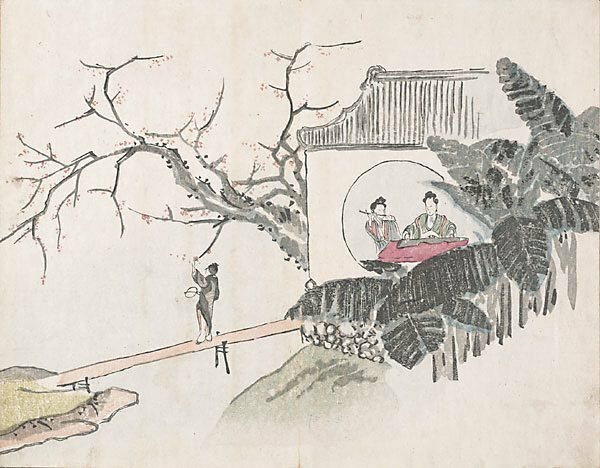 From an early age he showed talent in Chinese studies at Manpukuji temple, built in 1669 as the main temple of the Chinese Obaku sect of Zen Buddhism and a mecca for Chinese studies throughout the Edo period. 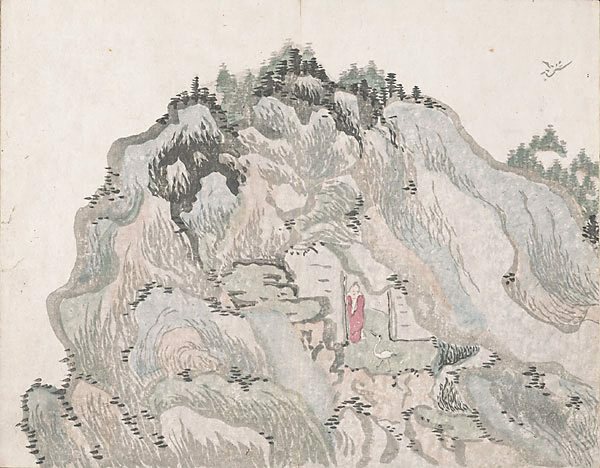 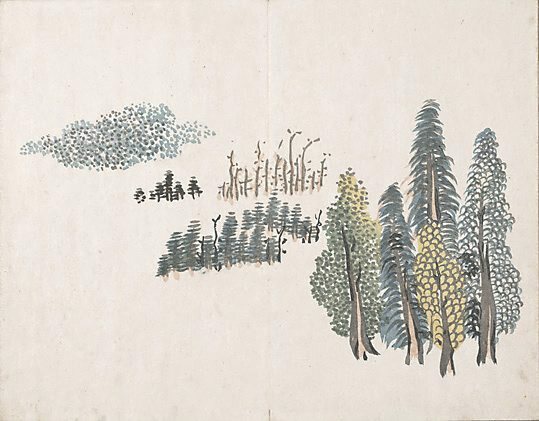 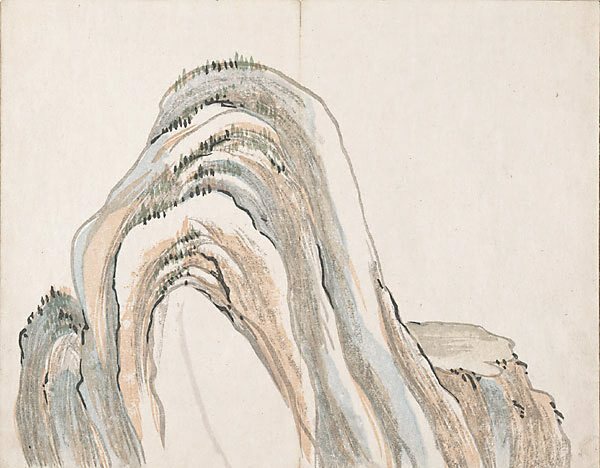 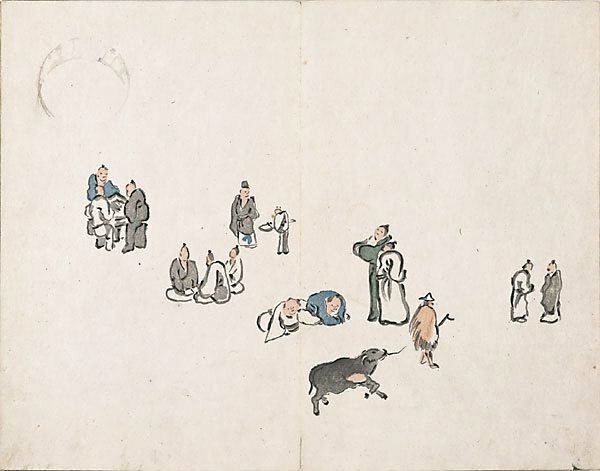 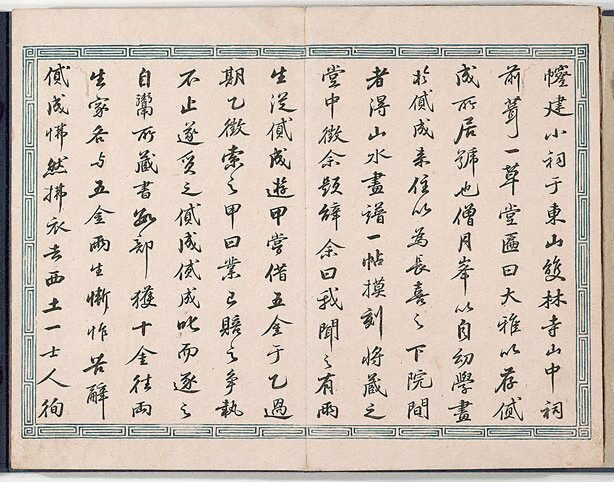 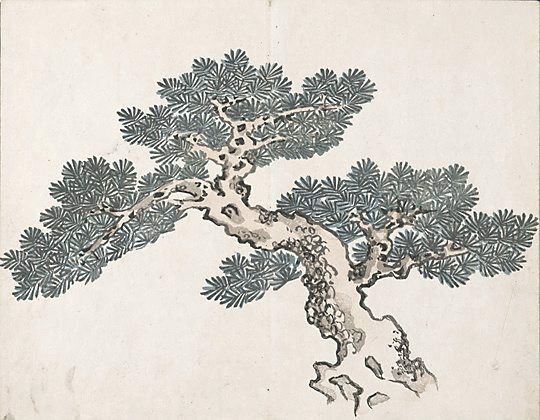 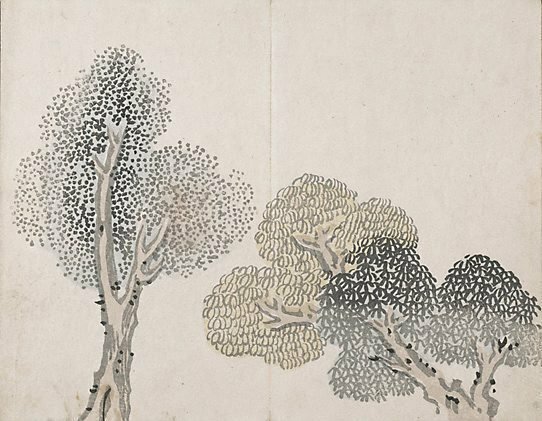 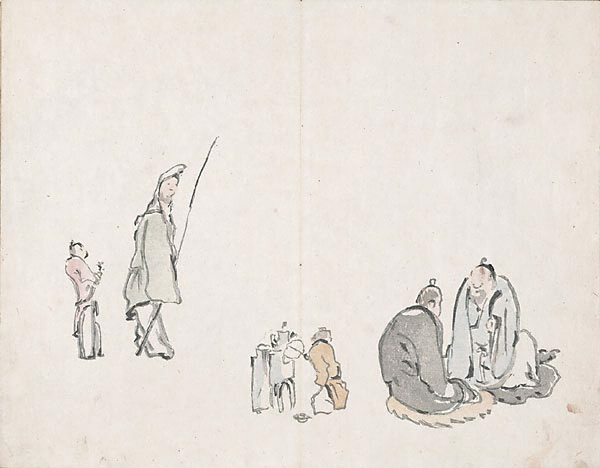 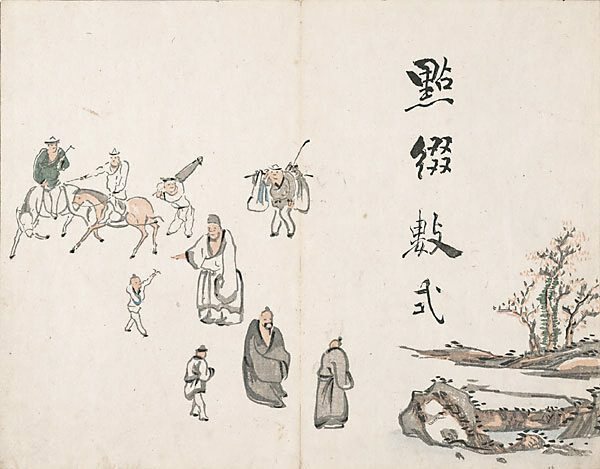 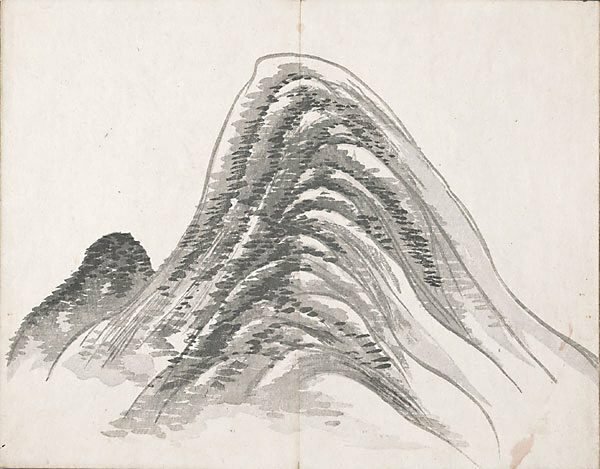 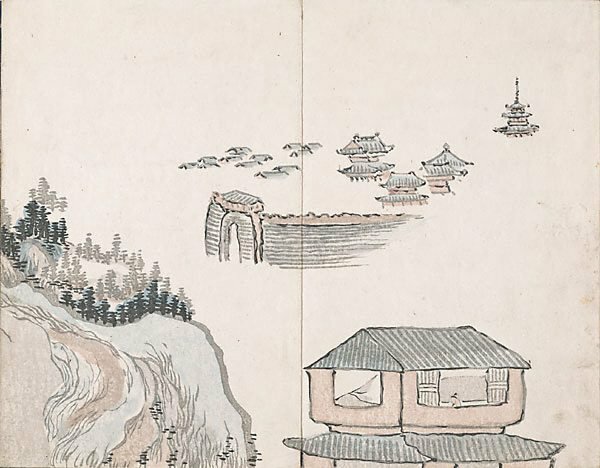 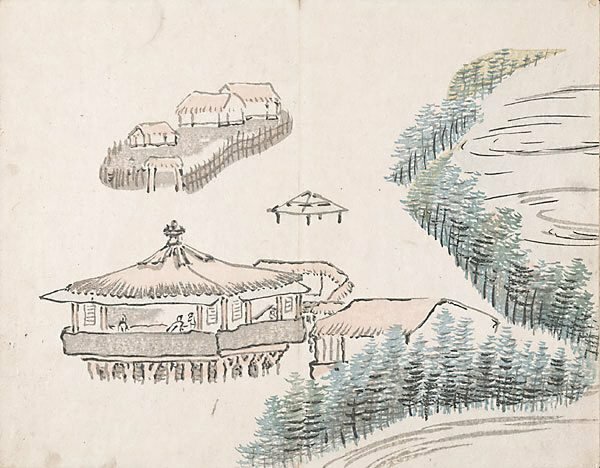 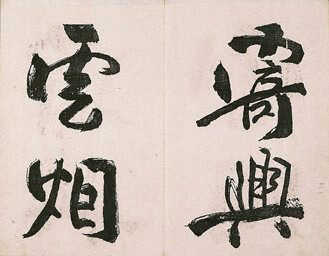 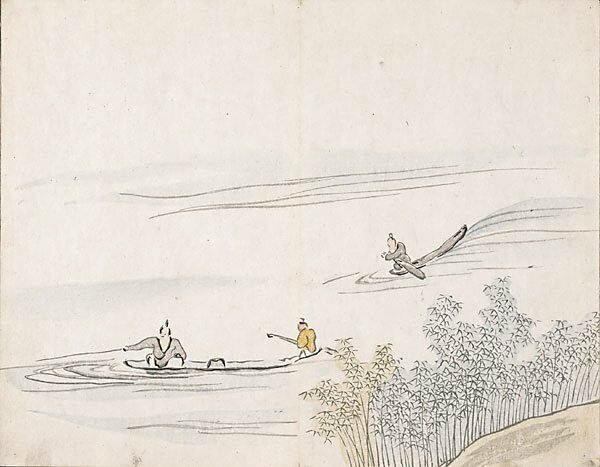 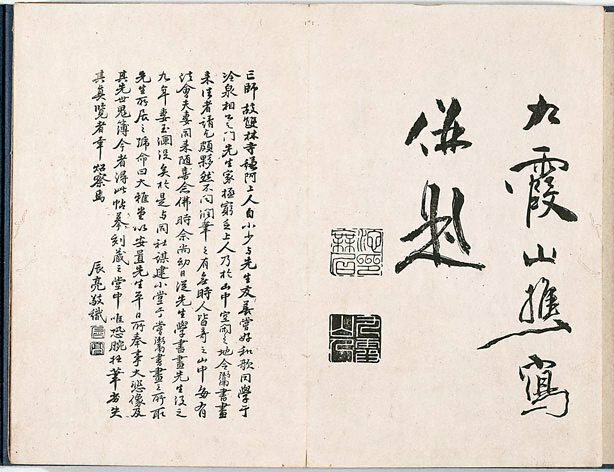 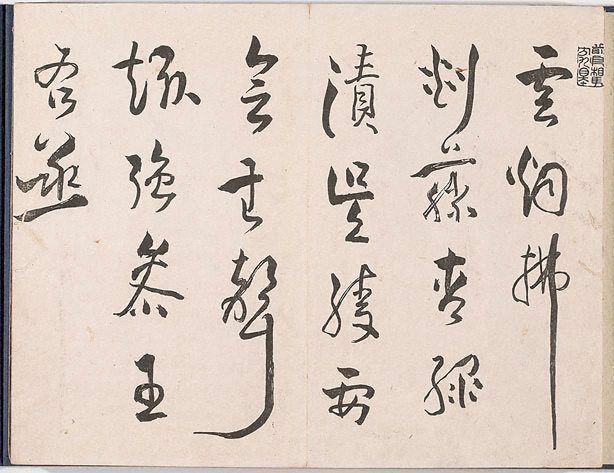 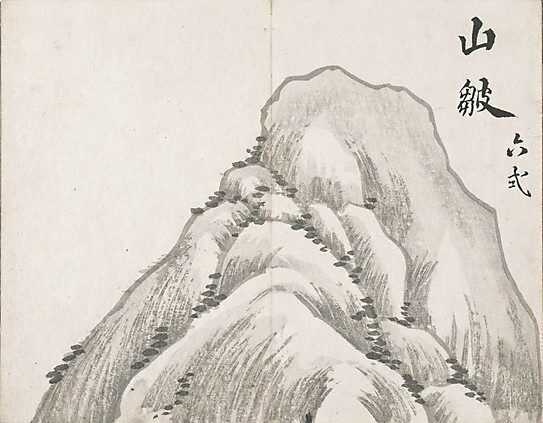 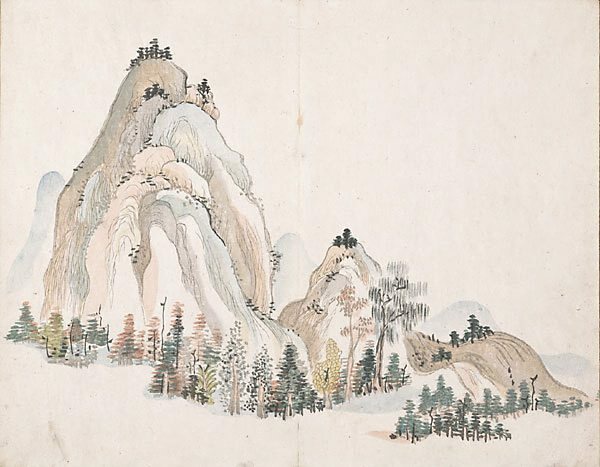 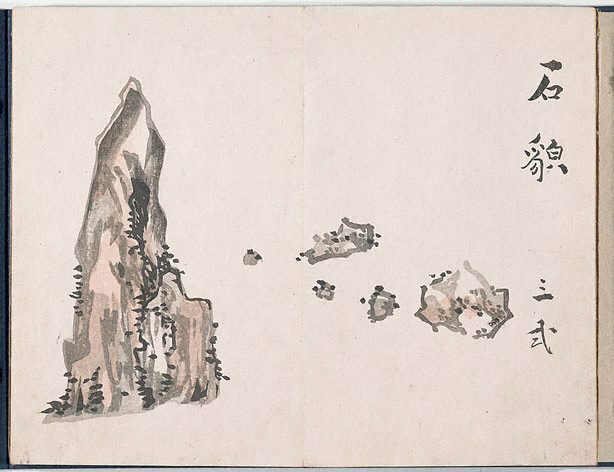 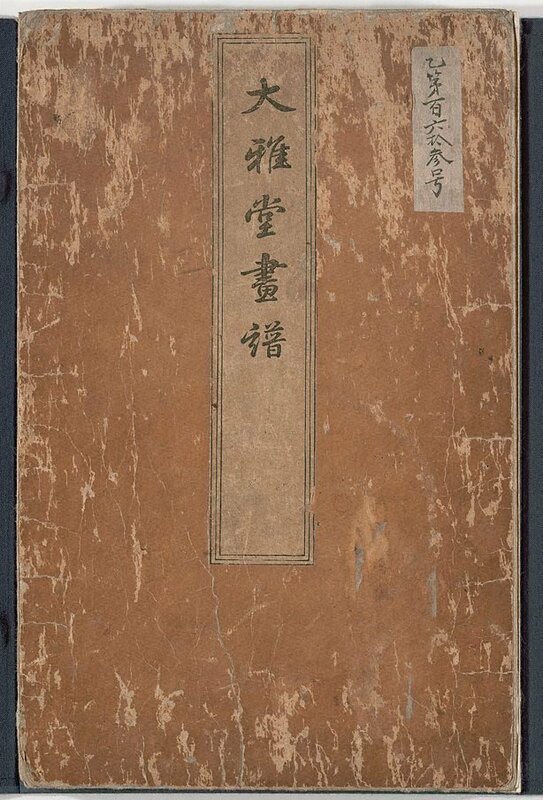 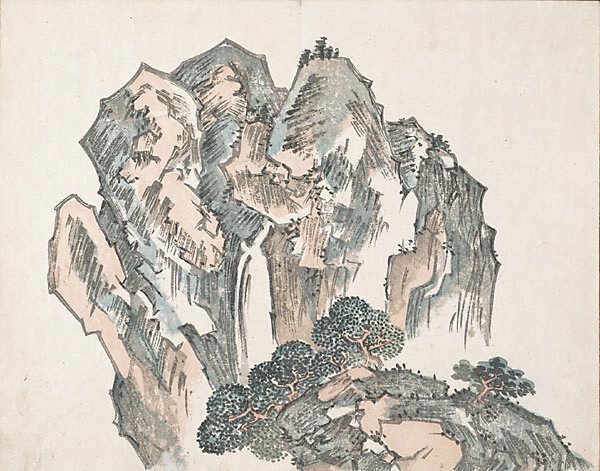 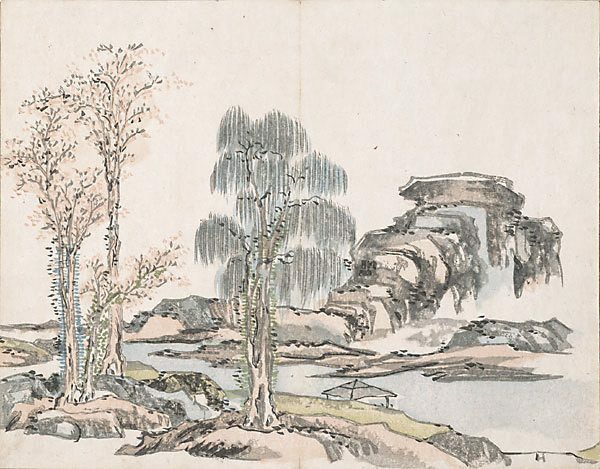 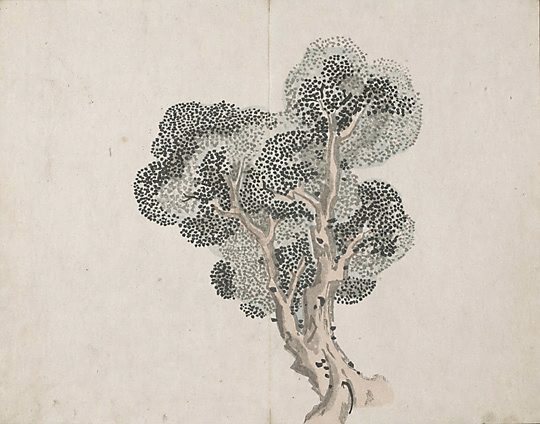 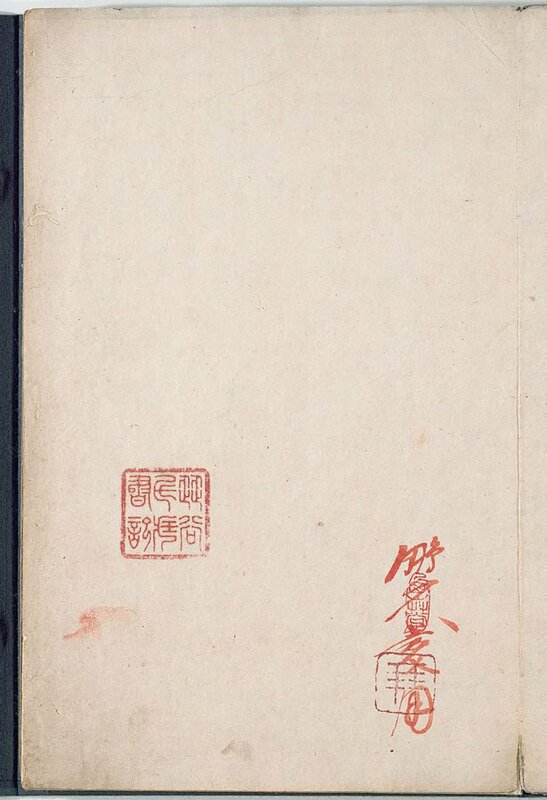 Japanese artists developed the Chinese literati style largely by studying painting and woodblock-printed books such as the famous 'Mustard seed garden manual of painting', originally published in China (1679/1707) and brought to Japan in the following decades. 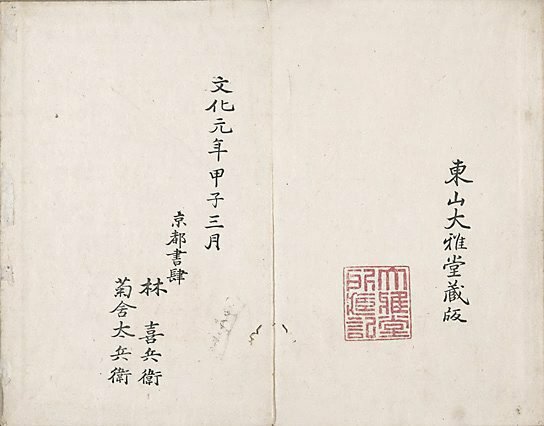 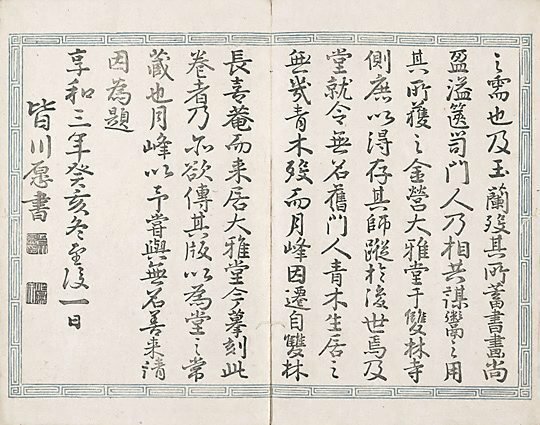 Following this example, Taiga published his own manual, from which these prints are taken, and inspired a following of many artists.